Baltimore, Md., Nov 13, 2017 / 09:20 am (CNA/EWTN News).- On the opening day of the US bishops’ plenary assembly, Archbishop Christophe Pierre addressed the gathering, encouraging them to prioritize youth, the mission of evangelization, and Christ himself. Washington D.C., Oct 4, 2017 / 02:52 pm (CNA/EWTN News).- In an interview with CNA on Monday, Bishop George Murry of Youngstown, who chairs the US bishops’ newly-formed anti-racism committee, revealed the names of the seven other bishops who are committee members. The bishop members of the committee, Murry told CNA Oct. 2, are Cardinal Timothy Dolan of New York, Cardinal Joseph Tobin of Newark, Archbishop Charles Chaput of Philadelphia, Archbishop Jose Gomez of Los Angeles, Archbishop Wilton Gregory of Atlanta, Archbishop Allen Vigneron of Detroit, and Bishop Martin Holley of Memphis. 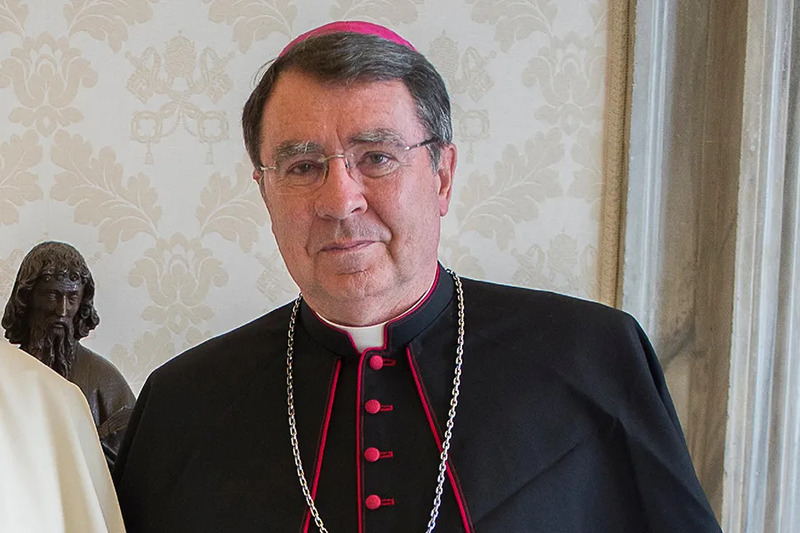 Bishop consultants to the committee include Cardinal Blase Cupich of Chicago; Cardinal Theodore McCarrick, Archbishop Emeritus of Washington, D.C.; Archbishop William Lori of Baltimore; Bishop Frank Dewane of Venice; and Bishop Joe Vasquez of Austin. Lay consultants to the committee will be announced later this week, Murry said. The ad hoc committee was announced in August after white supremacists and neo-Nazis rallied in Charlottesville, Va., and a 20 year-old man drove a car into the counter-protest killing one and injuring 19. The committee will explore ways the Church can address the root causes of contemporary manifestations of racism, the conference said. 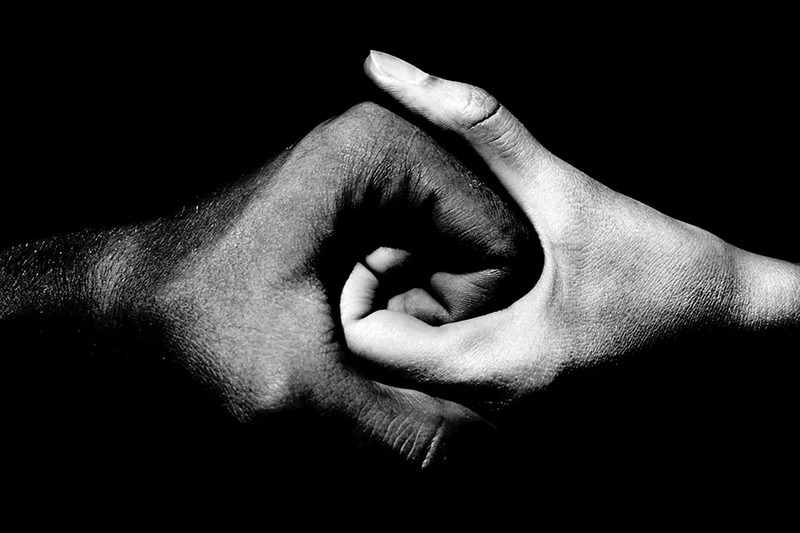 The bishops will also hold public conversations about racism and race-related problems. Santa Rosa, Calif., Oct 12, 2017 / 03:01 am (CNA/EWTN News).- While firefighters in northern California are currently battling 17 wildfires in five counties, Bishop Robert Vasa of the Diocese of Santa Rosa, one of the hardest hit areas, is typing updates and messages of support from his car, in between visits to evacuation centers. “Our diocese has been hit hard, as you know well, and is in an ongoing state of uncertainty,” he said in his Tuesday message. The fires, made worse by dry conditions and unrelenting winds, have already scorched at least 100,000 acres and have killed at least 21 people since the beginning of the week. Thousands more have been displaced, their homes and businesses destroyed. Much of the area of the Diocese of Santa Rosa has been under mandatory evacuation, including the chancery and the local Catholic Charities office. One of the diocese’s Catholic high schools has been almost completely destroyed by a fire, and an elementary school has sustained significant damage. A “significant portion” of the high school was destroyed, he noted, along with the preschool building and the roof of the elementary school. Graham Rutherford, principal of Cardinal Newman High School, sent a letter to parents and students, assuring them that all students and staff had been accounted for and were safe, and asked them to respect the evacuations and not go near the campus until officials have given the all-clear. Bishop Vasa also noted that he has visited several evacuation centers and spoken with many people whose homes and businesses have been destroyed. In his Wednesday message, he offered his prayers for those who had lost loves ones in the fires. “We pray for your consolation and for eternal rest for your lost loved ones. Our hearts go out to all of you,” he said. He also thanked the firefighters and police, both those from California and throughout the country who have offered their help. Christopher Lyford, director of communications for the Santa Rosa diocese, stopped by St. Eugene’s Cathedral, which is being used as an evacuation center coordinated by the Marian Sisters of Santa Rosa and other parishioners. Once there, he found a homeless man doing his best to comfort the distraught evacuees. 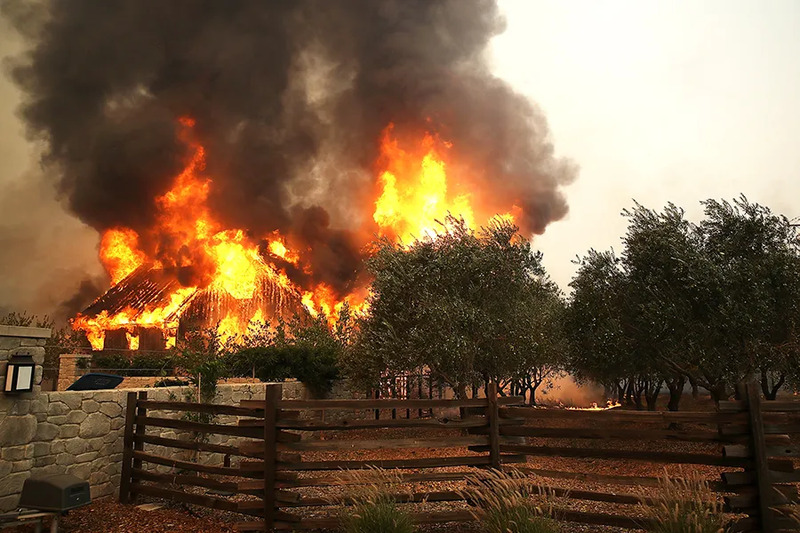 Father David Jenuwine, Parochial Vicar of St. Apollinaris Catholic Church in Napa, California recounted some of his own experiences with the fires in e-mail comments to CNA in between helping out at evacuation centers. On Monday, the first day of the fires, Jenuwine said he started smelling smoke around 4 a.m. and realized the area had lost power. 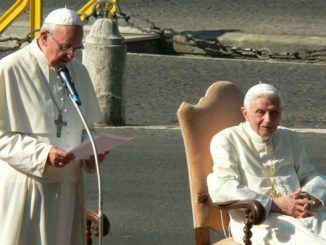 “When I figured out what was going on, I exposed the Blessed Sacrament around 5:00 am and started praying. People started showing up for morning Mass at 6:15 am. I went inside (again still dark – no power), and got ready for Mass” he said. “Mass in complete darkness, knowing your friends and parishioners are in jeopardy, is an awe inspiring experience. The prayers took on an eminence and an importance,” he said. Over the next two days, he said, the parish started taking in evacuees from the area and accepting food donations. “The faces of the donors and the recipients reflected a surreal joy. Giving and receiving are both opportunities to share in the divine life of the Most Holy Trinity. And it is apparent in what we have witnessed over the past few days,” he added. As of today, access to power and communications are back, but the fires are still far from contained, Jenuwine noted. “I have to cut this short, because I’m needed at the Red Cross shelter to comfort those who have lost someone in the fires. Pray for us,” Jenuwine said. Fr. Jenuwine’s parish has set up a Paypal donation page that is acting like “a rolling second collection” for fire relief, though Father noted the immediate issues of evacuations, shelter, food and water were being addressed before the exact recipients of the relief money could be determined. Updates from Bishop Vasa and the Diocese of Santa Rosa can be found on the diocesan website as well as the diocesan Facebook page.